For ski boat and jet boat applications, these controls feature superior styling, a compact design, positive lockout with a smooth feel, allowing for precise throttle control. 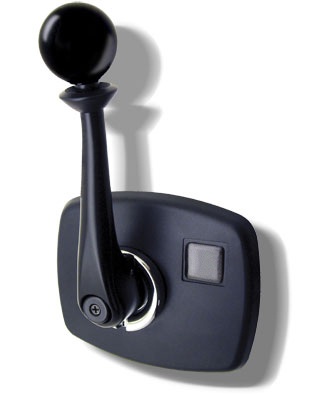 Dual action design (one lever to control both shift and throttle functions). Waterproof neutral safety switch standard on jet unit (optional on ski model). Uses 33C type cables. Please note that while the CH2200P and the CH2300P are similar in appearance, they have different neutral safety switches and internal mechanisms. They are NOT interchangeable. Do not substitute CH2200P for CH2300P or vice-versa.